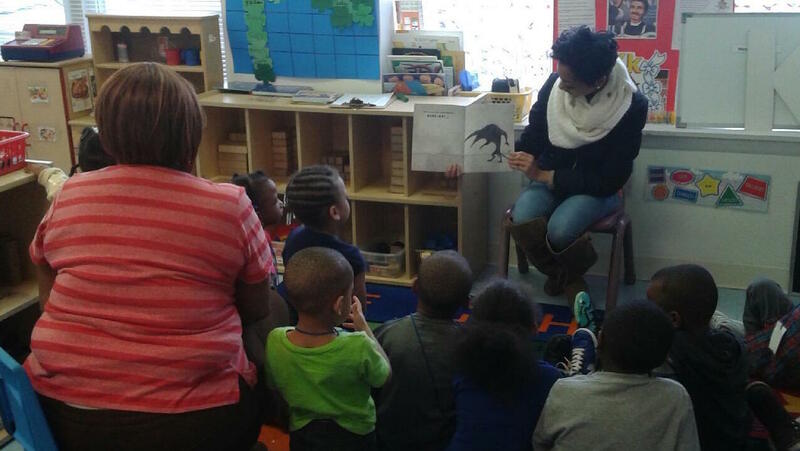 What Happens When College Students and Preschoolers Read Together? 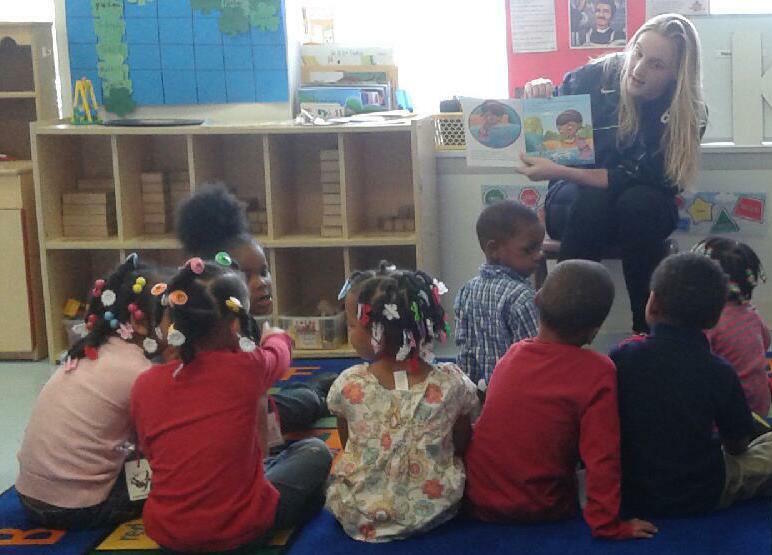 Every Thursday, University of Detroit Mercy undergraduates visit the morning and afternoon classes at Emmanuel Head Start, a short drive from the Detroit Mercy campus. After reading out loud with the kids, they help all of the Emmanuel students pick out a new book to take home to read with their families. The kids adore Detroit Mercy freshman Renesha Smoot-Grafton, whom they call “Nesha”. The idea behind the Rx for Reading Head Start partnership is to bring together students at the very beginning of their education and students towards the end of theirs through the shared love of reading. Preschoolers get to see that reading is a lifelong activity, one they will do every day when they are the college kids. College students get to take a break from the stress of studying to remember the pure joy of reading and the excitement of discovering a new book. Families get to share in the excitement when the preschoolers bring their new books home. We bring a broad selection of books each visit so the kids are empowered to pick out books that they are excited to read. According to the head teacher at Emmanuel, Mrs. Kimberly Ogletree, parents have reported that their children have been read their new books so often that the preschoolers can “read” them back to their parents! That’s my nephew go reading is fundamental!!! !